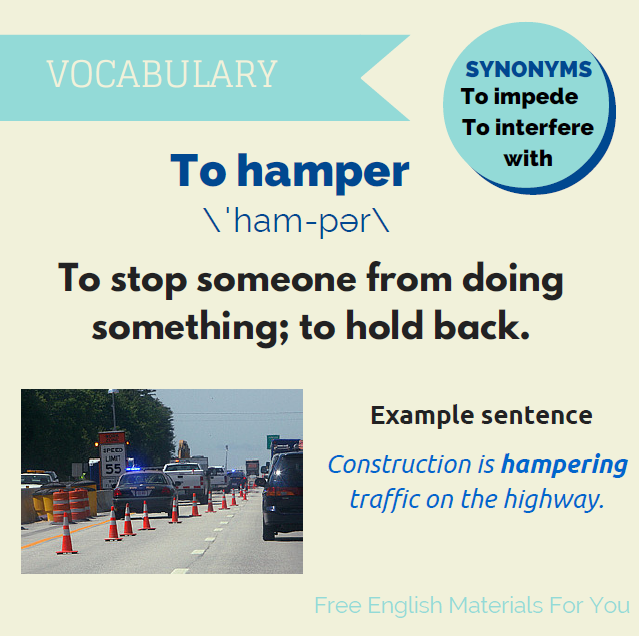 “To hamper” – What does it mean? Fog hampered the rescue effort. The dancers’ movements were hampered by their elaborate costumes. Unlike Mrs Andreasen, I do not think that this transparency will hamper the finance industry’s competitiveness. There are really too many obstacles hampering citizens wishing to study, work or go and shop in another Member State. RESCUE = the act of rescuing; to free or deliver from confinement, violence, danger, or evil. ELABORATE = made or done with great care or with much detail.